"Healing a Broken Marriage is a powerful testimony of one woman's determination to see her husband living for Christ and her family living a fruitful and productive life in the Kingdom. Despite overwhelming obstacles; Deborah Ross stayed the course, fought the fight and her dream of a godly husband, is now a living example of the saving grace of a loving God." 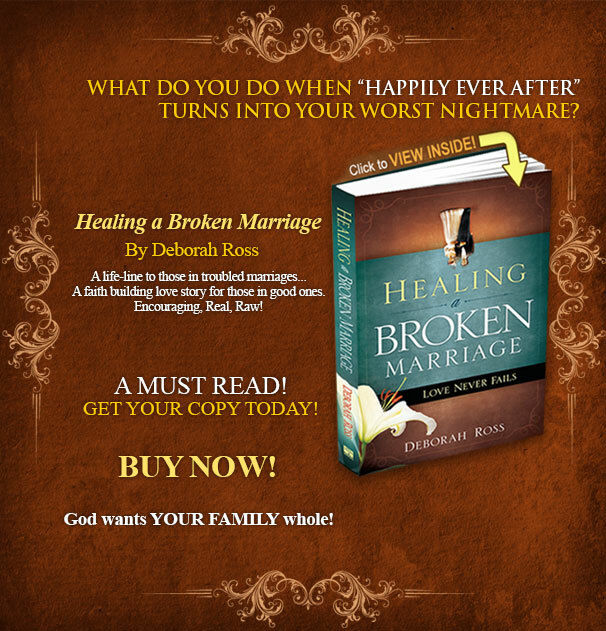 Healing a Broken Marriage is listed as books everyone should read. © 2013 - 2019 Healing A Broken Marriage - All Rights Reserved.